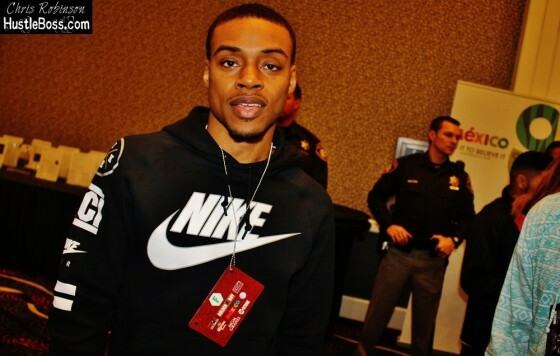 Tag Archives: Errol Spence Jr.
IBF welterweight world champion Errol Spence Jr. could possibly be the pound for pound number one fighter in the near future. Spence won three consecutive national championships and also represented the US at the 2012 Olympics. As of today, according to the Ring Magazine, Spence is ranked as the world’s eighth best active boxer pound for pound. I wouldn’t be surprised if that changed within one year to top three. He is named “The Truth” and now we know why. On Saturday night, inside of the Ford Center at the Star in Frisco, Tex., undefeated IBF welterweight champion Errol Spence Jr. retained his title with a viscous and dominating 1st round knockout over mandatory challenger Carlos Ocampo. Spence (24-0, 21 KO’s) was heavily favored heading into the match for good reason vs. Ocampo (22-1, 13 KO’s), who he had little trouble dealing with. 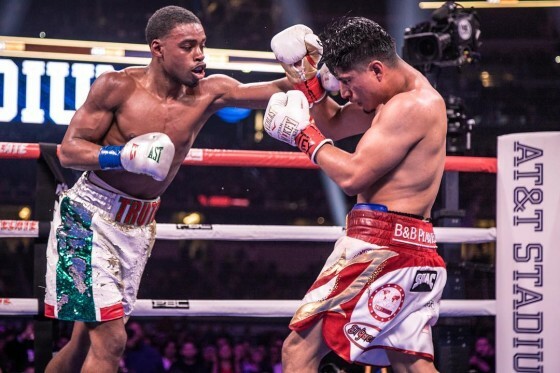 Towards the end of the first round, Spence pinned Ocampo against the ropes and unloaded a series of punches, the last being a body shot that sent his overmatched foe to the ground for the count. And, just like that, Spence again delivered a star-turning performance. 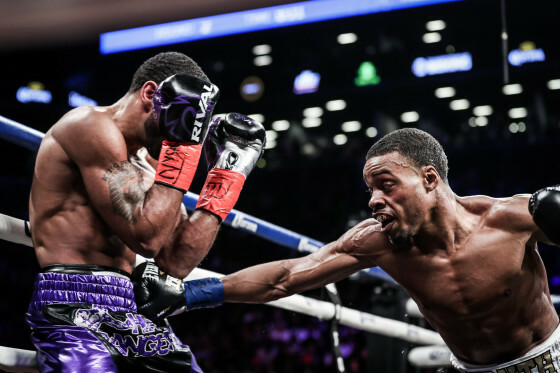 On Saturday night in Brooklyn, New York, former IBF welterweight champion Errol “The Truth” Spence Jr. dominated a very game Lamont Peterson, stopping the rugged former champion after the seventh round inside of the Barclays Center in Brooklyn, New York. 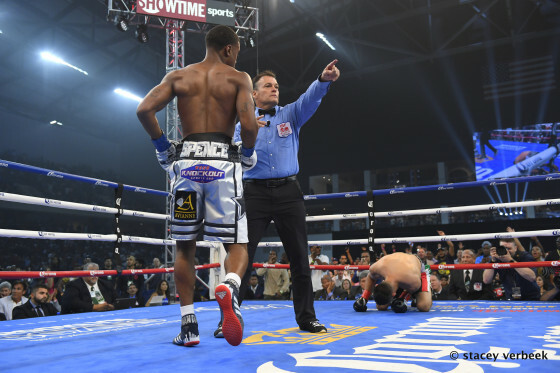 Aired on SHOWTIME, Spence (23-0, 20 KOs) was too skilled, too tough, and too busy and precise for Peterson (35-4-1, 17 KO’s), as he registered a successful first defense of his title. 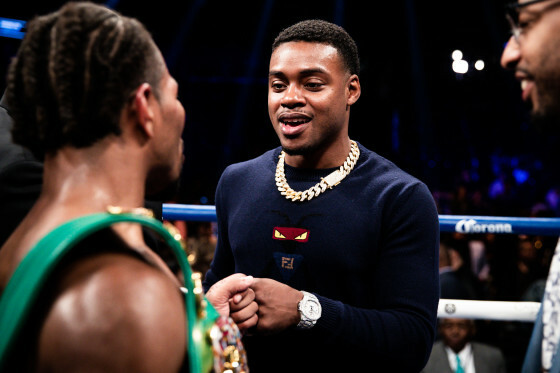 Spence now sets his sights towards a hopeful showdown with WBA/WBC champion Keith “One Time” Thurman, but it remains to be seen whether we will see that fight anytime soon. 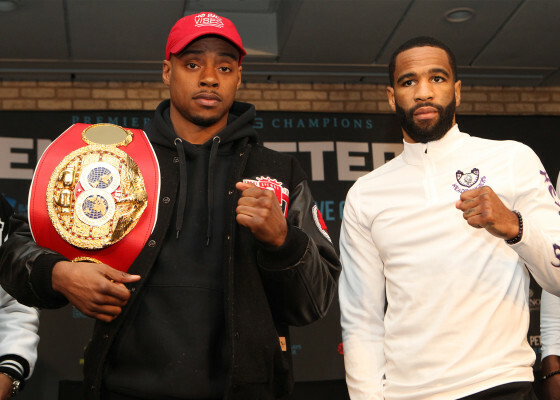 This weekend, IBF welterweight champion Errol Spence Jr. (22-0, 19 KO’s) will face off with former world champion Lamont Peterson (35-3-1, 17 KO’s) inside of the Barclays center in Brooklyn, in a SHOWTIME-televised main event that should deliver in terms of action and suspense. Spence defeated Kell Brook this past May in a thriller and in Peterson he is going up against one of his most experienced and determined foes to date. In the co-feature, IBF lightweight champion Robert Easter Jr. (20-0, 14 KO’s) faces off with former junior lightweight champion Javier Fortuna (33-1-1, 23 KO’s) in a unique matchup of styles. The action begins at 9 p.m. ET/6 p.m this Saturday, Jan. 20. 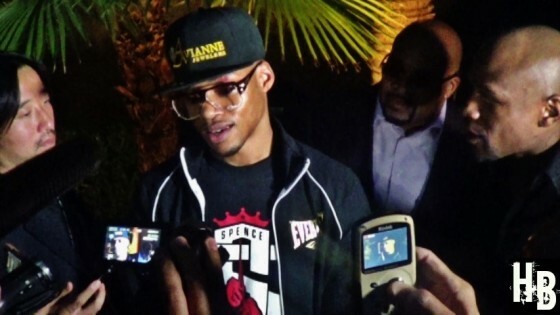 On Tuesday afternoon, Jan. 9, IBF welterweight champion Errol Spence hosted the media ahead of his Jan. 20 fight vs. former world champion Lamont Peterson. Working out inside of the R&R Boxing Gym in Dallas, Tex., Spence (22-0, 19 KO’s) looked sharp and in tremendous shape, with the match being less than a few weeks away. Peterson (35-3-1, 17 KO’s) is a very experienced and worthy opponent, and any way you break the match down it figures to be entertaining. Spence vs. Peterson will be a Premier Boxing Champions telecast that will air live on SHOWTIME CHAMPIONSHIP BOXING at 9 p.m. ET/6 p.m. PT. 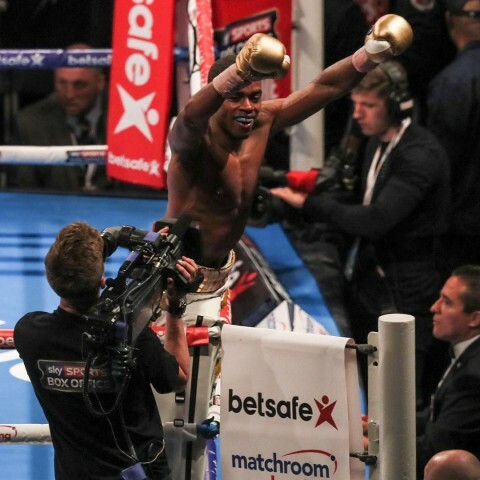 Moments ago, inside of the Bramall Lane Football Ground in Sheffield, England, Errol Spence Jr. successfully captured the IBF welterweight title with an impressive 11th-round TKO over former champion and hometown London favorite Kell Brook. The bout, fought in front of a packed house of rabid supporters, was fought at a tense and tactical pace early on. Brook (36-2, 25 KO’s) was on his way towards building a lead through the first half of the fight and appeared to be the physically stronger fighter, but Spence (22-0, 19 KO’s) was undaunted in his pursuit. Promoter Lou Dibella feels that Kell Brook wants ‘no piece’ of Errol Spence Jr.
On Saturday night, April 16, inside of the Barclays Center in Brooklyn, New York, undefeated welterweight contender Errol Spence Jr. scored the biggest and perhaps the most electrifying victory of his career in stopping former champion Chris Algieri in the fifth. Spence (20-0, 17 KO’s) was simply to precise and powerful for Algieri (21-3, 8 KO’s), who never could get into the fight. 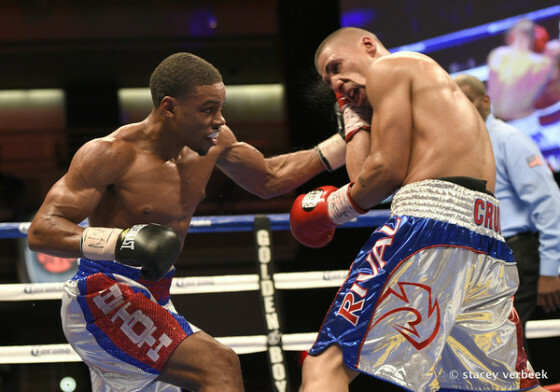 Spence dropped Algieri in the fourth and twice in the fifth before referee Benjy Esteves Jr. waived the contest off. 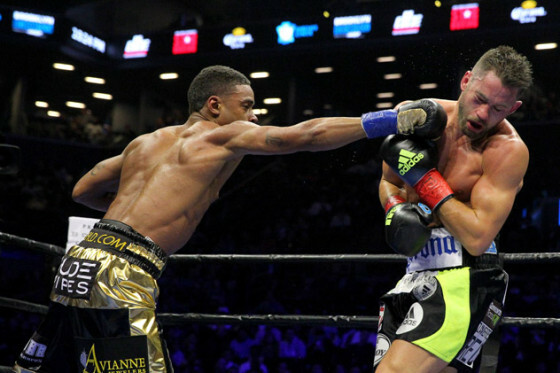 On Saturday night, June 20, welterweight star Errol Spence continued to stamp himself as one of the division’s emerging contenders with a one-sided 3rd round TKO over Phil Lo Greco inside of the MGM Grand in Las Vegas. 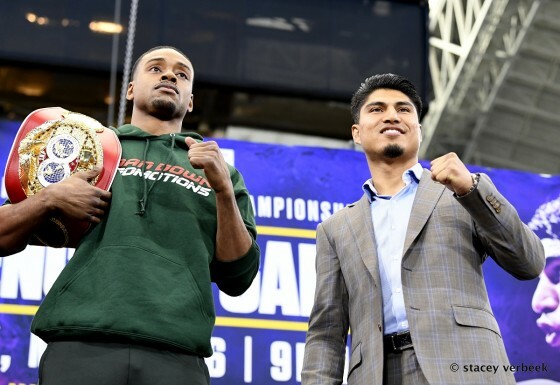 Now 17-0 with 14 knockouts as his career continues to push forward, Spence is on the verge of a big fight anytime now as was actually in line for his biggest test to date against Roberto Garcia before the Weslaco, Tex. native withdrew just days prior to the match due to personal reasons. 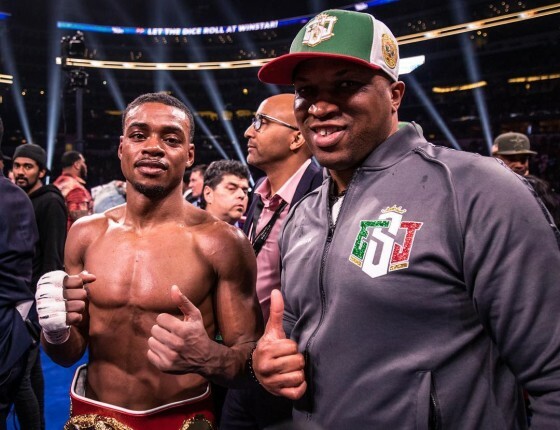 Good to see undefeated welterweight hopeful Errol Spence Jr. get a chance to still fight on this weekend after seeing his fight with Roberto Garcia fall apart earlier this week when it was revealed that the Weslaco, Tex. native was pulling out for personal reasons. Spence (16-0, 13 KO’s) was looking at the Garcia fight as his chance to break out and he will instead have to settle for a matchup vs. brash Phil Lo Greco, who stepped in at the last minute. 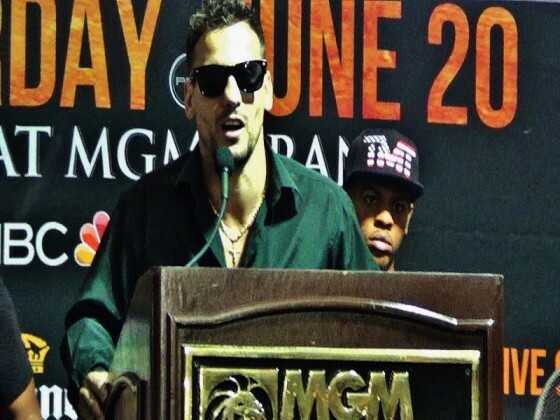 Hustle Boss was on hand inside of the MGM Grand Garden Arena’s Media Tent on Thursday, June 18, as Canada’s Phil Lo Greco took the dais. While it’s not surprising to see Lo Greco around boxing circles, those in the fight game were caught off guard when they found out that the rugged Italian will be stepping in for Roberto Garcia to face off with undefeated upstart Errol Spence Jr. (16-0, 13 KO’s) on Saturday night from the MGM Grand as part of a “Premier Boxing Champions” telecast on NBC. 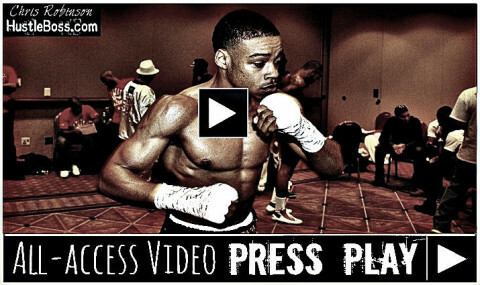 Video update from the MGM Grand in Las Vegas, Nevada as HustleBoss.com catches up with emerging prospects Errol Spence Jr. (16-0, 13 KO’s), Thomas Hill (3-0, 1 KO), and Marcellus Williams during Fight Week in Las Vegas, Nevada. In this clip, the trip discuss several facets of the May 2 Floyd Mayweather vs. Manny Pacquiao showdown, including Tommy’s sparring with Adrien Broner in the ’DogHouse’, how Floyd was looking this camp, a breakdown of the matchup, and more. 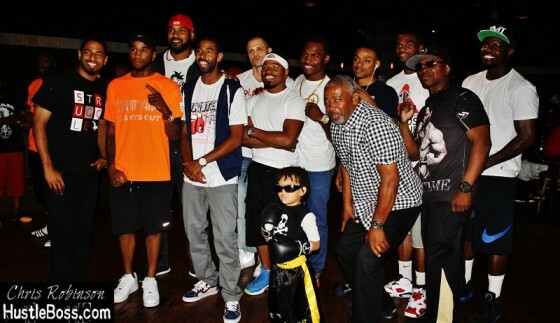 Watching fighters evolve and grow in the sport of boxing can be very rewarding. 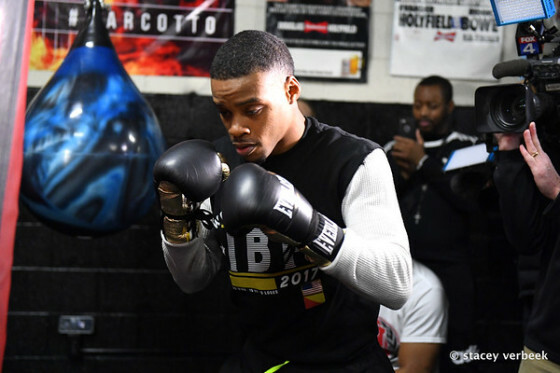 Having kept tabs with 2012 U.S. Olympian Errol Spence Jr. dating back to shortly after his professional debut a few years back, it’s been pretty notable to see how far he has come in recent times. A ringside view of Errol Spence Jr.’s commanding ten-round decision over Philadelphia’s Ronald Cruz (20-4, 15 KO’s) from the Hard Rock Hotel and Casino in Las Vegas, Nevada. Spence was in control, winning every round on all three judges’ cards, and sees his record rise to 13-0 with 10 knockouts. 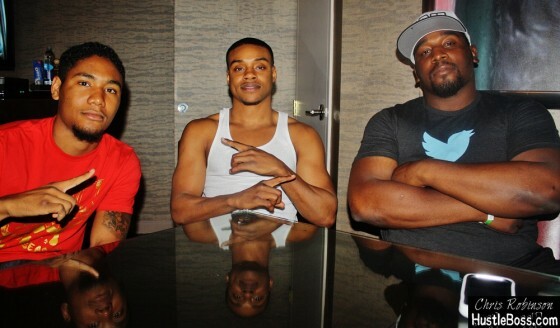 Exclusive photos from the Hard Rock Hotel and Casino in Las Vegas ahead of the ShoBox: The New Generation event, featuring the likes of Shawn Porter, Errol Spence Jr., LaDarius Miller, Money Prince, BJ Flores, Lanell Bellows, Dominic Wade, Lanardo Tyner, and several others. 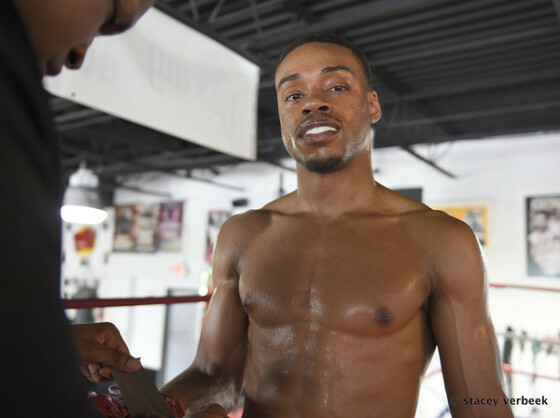 Errol Spence Jr. winds down his training camp with sparring against middleweight Tony Mack today at Maple Avenue Boxing Gym in Dallas, Tex. The undefeated welterweight prospect and 2012 Olympian Spence takes on Ronald Cruz at the Hard Rock Hotel & Casino in Las Vegas, NV as the main event onShobox: The New Generation on Friday June 27th at 9:30pm ET/PT on Showtime.